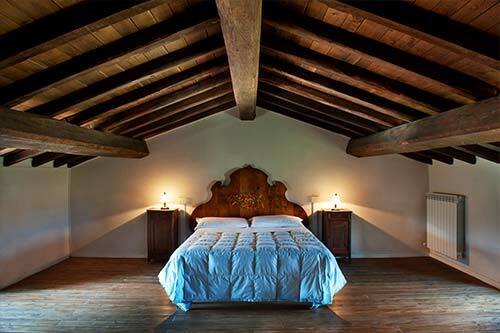 The Tenuta San Felice is nestled in the rolling hills of the Colli Martani. Numerous vantage points close to the farm offer spectacular views. The color palette of the landscape stretches from ocher-yellow towards Spoleto over the intense green of Todi to the red vineyards of Montefalco. Only a stone’s throw away are the famous medieval towns in Umbria, such as Spoleto, Todi, Montefalco and Assisi. 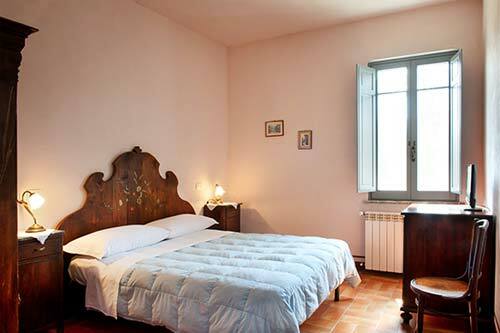 Thus, the farm is an excellent starting point for day trips in the region.The restored guethe property now offers comfortable accommodation for tourists with rooms and apartments of different sizes. 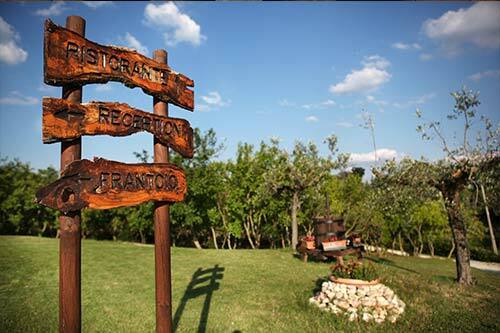 The garden of the Tenuta is a perfect place for relaxation and recreation. Another highlight is the large pool, which is available only to the guests and provides a welcome cooling during summer. An undisturbed sight into the night sky and the stars is guaranteed.